To print this page, scroll to the bottom and click on Printable View, or download the Program Guide. The event starts with a Friday night opening show followed by fun field activities and a whole playlist of music! On Saturday, participants will enjoy an amazing breakfast prepared by the Colonneh Lodge cook-team. After breakfast, the advancement programs will take place. 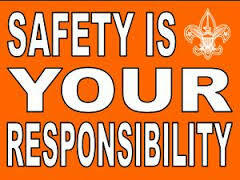 Older Scouts and leaders will be able to attend informative trainings. The afternoon will be full of Renaissance Festival games and activities such as archery, tomahawk throwing, knife throwing, angry raven, volleyball, gaga ball, plus many more activities. Stop by the Colonneh Café for a smoked turkey leg or a funnel cake. After the Saturday evening show, participants can enjoy the chapter palooza and the infamous OA bash. It will be an incredible weekend of learning and fun. Chapter Meeting 101 1, 3 Dining Hall A Everyone This class will show you how to have fun and productive chapter meetings that will increase attendance and participation. Bridging the Connections 2, 3 Staff Pavilion Everyone This session will outline and explain what is new in 2019, including the introduction of ships and crews, as well as other changes to program and inductions. What is my job? 1, 4 Dining Hall B Everyone Do you have questions about your position? An open forum where we will discuss what role you play in your chapter and the lodge. Ceremony Workshop 2, 3 Campsite 1 Everyone This session will teach you how to use a bead loom, other types of beadwork, and other American Indian Activities and how to have an effective ceremony team. Unit Election Training 2, 4 Dining Hall A Everyone This class will discuss the proper procedures to conduct unit elections, as well as answer any questions you might have. Strake Update 3 Dining Hall B Everyone Discuss the current status of Camp Strake and projected opening date. Asst. Chapter Advisers Meeting of chapter and lodge advisers to answer any question you may have. General discussion, problem resolutions and food for thought. Adult Roles in the Eyes of a Youth 1 Staff Pavilion Adults in the OA The Advisers within the lodge and chapter play a key role in how things are run, this class will show you how to be an effective adviser while working with the youth in the chapter. Unit Leaders A training dedicated to discussing the benefits of the Order of the Arrow for unit leaders and how adult leaders can stimulate Order of the Arrow participation in their units. Travel to and from event is the responsibility of the guest. Personal vehicles are welcome at the event. Chapters may arrange travel with other members of your chapter. See oa.shac.org/chapters for chapter contact information. Check-In will be conducted from 6:00 pm to 10:00 pm on Friday and from 8:00 am to 5:00 pm on Saturday. Please do not arrive earlier or later than the times listed, as the staff will not be prepared. All guests will receive a program with a map, schedule, and other important information at check-in. Guests will also receive a wristband. It is very important all guests keep both items at all times. Please bring a copy of your BSA Annual Health and Medical Record, Parts A and B to check-in. They will not be returned. If your lodge dues are not current, you will be required to pay them in order to participate in the event. Remember – Wear the flap, pay your dues! Campsite assignments for OA chapters and units will be handed out at check-in. Throughout the weekend, there will be a wide variety of games for everyone to enjoy. Take on your friends in a game of volleyball or gaga ball. Come out to the Renaissance Festival and try out some awesome Renaissance games like Jacob’s Ladder, Sporting Arrows, Knife Throwing plus many others. Arrowman Bash will kick off with a Friday evening show. Find out who’s who, where’s where, and get a preview of the weekend’s activities! Saturday evening, the main show will be a time for fun and laughs as we share the weekend events and present awards. Tired of boring classroom style trainings? So are we! By having short sessions and a wide variety of training styles, training at Arrowman Bash is designed for the Scouts of today! Colonneh Lodge’s trading post is top-of-the-line, offering Order of the Arrow merchandise at affordable prices. Stop by to pick up your limited-edition patch sets, belt buckles, shirts, OA gear, and so much more. The trading post will be open Saturday from at 8:30 am to 12:30 pm and from 2:00 pm to 5:00 pm. It will re-open after the Saturday evening show and stay open to 11:00 pm. Have a hankering for delicious food? Stop by the Colonneh Café for great items such as hamburgers, hot dogs, chips and much more. During our Renaissance Festival, the Colonneh Café will offer smoked turkey legs and funnel cakes to satisfy your medieval hunger. All proceeds from Colonneh Café will be donated towards a special projects fund for Colonneh Lodge. The Colonneh Café will be open Friday from 6:00 to 11:00 pm and Saturday from 2:00 to 6:00 pm. Chapter palooza is time for Scouts and Arrowmen to meet, participate in fellowship, and see the fun activities chapters have to offer. Chapter palooza will take place from 7:30-9:00 pm Saturday evening. The Lodge Executive Committee meets several times a year to facilitate the business matters of Colonneh Lodge. The LEC will meet on Sunday during Arrowman Bash. All lodge officers and chapter chiefs (or designee) and their advisers are required to attend the LEC; however, all Arrowmen are welcome to attend this important planning and business meeting. An interfaith service will be conducted for all participants on Sunday morning. An interfaith service is a brief worship or meditation, specifically designed for Scouting events where there may be members of more than one faith group. The intention of an interfaith service is to provide a spiritual focus during a camping experience that does not reflect the views of a particular denomination or faith. An interfaith service can be defined as a gathering of Scouts held to contribute to the development of their spirituality and to promote a fuller understanding of the Scout Oath and Law, with emphasis on one’s Duty to God. A favorite activity is the Indian Village with exciting, hands-on classes and sessions throughout the day. Want to learn how to drum or sing? Indian Village has all the answers! See an amazing exhibition of some of the best singers and dancers in the nation at the Pow Wow dance in the evening! Is your chapter the BEST at mastering any ceremony? Want to take up the challenge with other chapters? This is the place for you to show off what your chapter has to offer and compete against other chapters in the lodge! Come and take on your follow Arrowmen to find out! During Saturday morning, Scouts in troops can go through the FCE stations to learn the skills needed to attain most of the requirements for Scout rank through First Class. Over 50 rank advancements skills for Scout, Tenderfoot, Second- Class and First-Class ranks will be offered. Several stations will focus on rank requirements for Venturing and Sea Scouts. In addition to the large selection of rank requirement stations, the Totin’ Chip and Firem’n Chit will also be taught. A detailed program with all the exciting details will be distributed at check-in. Notice! Please be advised that promotional videotaping/photography may be in progress at any time at an event. Your entrance constitutes your agreement that Colonneh Lodge has the right to reproduce your likeness in videography/photography for promotion (e.g., publications, internet, newspaper).